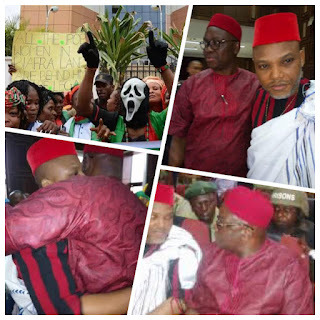 Home / Biafra / Gist/Gossip / Nigeria / Politics / Nnamdi Kanu granted bail but can he agree or meet to these conditions? Today, 25th April 2017, Justice Binta Nyako who is the presiding judge, said Kanu's bail will be revoked if any of the orders are flouted, as she however denied other accused persons bail. 7. Nnamdi Kanu will be allowed to go home after meeting the above bail conditions as a result of negotiations with the Federal Government. Now do you think Nnamdi Kanu will agree or meet to these bail conditions?